The present review study informs the readers about the development and the concept of school maturity and about research studies performed during the last 10 years at the Faculty of Education, Palacký University in Olomouc. 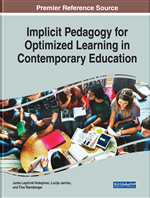 The first part of the study presents an overview of experimental as well as theoretical approaches in the area of starting compulsory education in the context of chronological changes related to psychology, education, and education policy. The second part of the study comprises an overview of research studies and relevant outcomes in the context of preschool curriculum. The present study is based on research conducted at the Faculty of Education, Palacký University under various projects and theses. The third part of the study includes a critical analysis, the purpose of which is to identify positive and negative impacts of current approaches on preschool education. The final part includes recommendations for educational practice in kindergartens. The objective of the paper is to describe the development of the concept of school maturity, which has a significant effect on starting compulsory education and children's attitudes to school and learning. The results presented herein not only highlight the system of assessment of school maturity in the Czech Republic but also the problem areas that need to be addressed in order to achieve the objectives of the preschool curriculum and develop children's key competences. In many European countries, preschool education is being reformed to reflect on the introduction and verification of the preschool curriculum. The results have the potential to open a broad international debate on the issue of preparing children for starting school in the context of the development of their key competences. The present research study is of a mixed design. The basic method is a document content analysis. The analysis was performed from a historical development perspective and included relevant documents, legal acts, and data from previous research studies carried out in the Czech Republic. Based on the resulting data, an overall assessment was performed and practical conclusions for kindergartens formulated. The research was conducted between 2016 and 2017. In the Central European region, the beginnings of compulsory education are traditionally associated with the Austrian Empress Maria Theresa and her son Joseph II. Their initiatives in the field of education were a logical consequence of their profound reforms, which transformed the society at the end of the 18th century. In the second half of the 18th century, the introduction of compulsory education of children in schools was associated with three terms, which became characteristic of the Central European region. These were compulsory education (Schulpflicht), obligation to provide education (Schulpflichtigkeit) and the right to school education (Recht auf Schulerziehung). Regarding the fact that these terms are often confused and misunderstood in Czech scientific literature, they will be briefly explained. Compulsory education is a legal term, which allowed state bureaucracy as a power authority to enforce education of children at a certain age by means of state and later public or private institutions called the school. The basic precondition for enforcing this obligation was a sufficient number of schools for all children, which was not the case of the Habsburg monarchy in the late 18th century despite the feverish establishment of a network of schools, and so the compulsory length of education (Unterrichtspflicht) was introduced by Josephine reforms, which also allowed for private home education, especially for upper class children. In the Czech lands, compulsory education was introduced for all children without exception by the so-called Hasner Act in 1869. The obligation to provide education (Schulpflichtigkeit) is also a legal term, which obliged parents to provide their children with at least the level of education provided by the local school to its pupils. The child did not have to attend school but was educated at home or in institutions other than state schools, for example in various private or public boarding houses, monasteries or educational institutions. The rights of parents were thus brought in line with the interests of the state power. The right to school education (Recht auf Schulerziehung) was another legal term, which gave parents an opportunity to decide about the education of their children by choosing from available options of institutional education, without which an individual could not be recognized as a due and legal citizen of the state. Kindergarten: Is a preschool educational approach traditionally based on playing, singing, practical activities such as drawing, and social interaction as part of the transition from home to school. Compulsory Education: Compulsory education is a period of education that is required of all people and is imposed by government. Depending on the country, this education may take place at a registered school (schooling) or at home (homeschooling). Preschool Education: Is the process of education implemented in kindergartens and controlled by the kindergarten teachers during which children learn the basics of ? the key competences and ? the content of education determined for the preschool stage, to an extent corresponding with children’s individual capabilities. School Readiness: “School readiness” is a term often used to describe how ready children are socially, physically, and intellectually, to start formal schooling - usually kindergarten. Curriculum: Is a program and content of deliberate teaching activities, as a result of which learners gain experience. The preschool curriculum is a program according to which kindergartens design their own educational programm, taking into account their specific educational conditions.